From the Daredevil Dorbz collection by Funko. 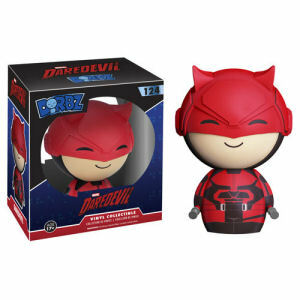 Daredevil Dorbz Vinyl Figure. From the Daredevil Dorbz collection by Funko. Daredevil Dorbz Vinyl Figure. Dorbz Vinyl figures come in a double window-box package to fully display the character from both front and back. Figure measures about 3 inches tall. Funko Daredevil Figurines shipping from Canada. No Surprise Border fees or Customs!